JAVIERA ESTRADA’S HAS A BROAD SCOPE OF WORK AND IT IS ALL A REFLECTION OF MEMORIES THAT SHE HAS SHAPED INTO HER REALITY. A SEEKER OF THE SPIRITUAL, ESTRADA BELIEVES THAT EVERY PIECE OF ART CREATED IS A SELF-PORTRAIT, A PHYSICAL EXPRESSION OF THAT INNER NAMELESS WORLD OUR SOUL INHABITS. 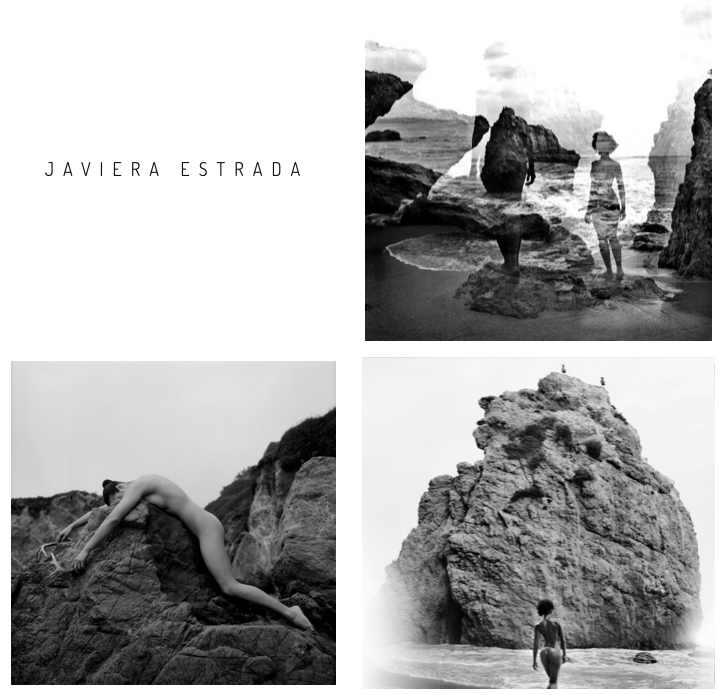 ESTRADA’S CREATIVE EXPRESSION ENCOMPASSES TRADITIONAL PHOTOGRAPHY ALONGSIDE MIXED MEDIA.